We have been waiting for the new Leica camera to come out for a long time. They finally released the Leica C-Lux this summer and it is awesome! We just received it this week so this is my first macro with my new camera. 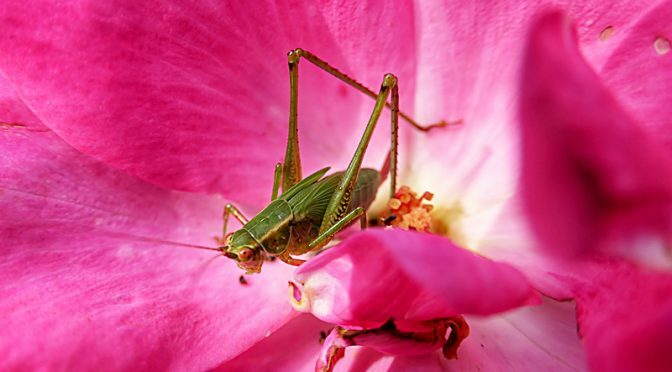 I was practicing taking a photograph of a rose in my backyard and noticed that a grasshopper was inside. What a treat! PS — and those colors!